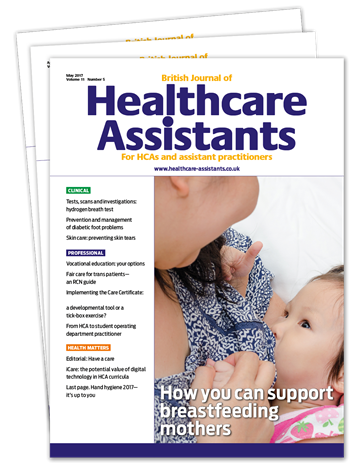 British Journal of Healthcare Assistants (BJHCA) is the only monthly, peer-reviewed journal to recognise the importance and potential of the UK's healthcare support workers, and their integral role in the provision of high-quality care. 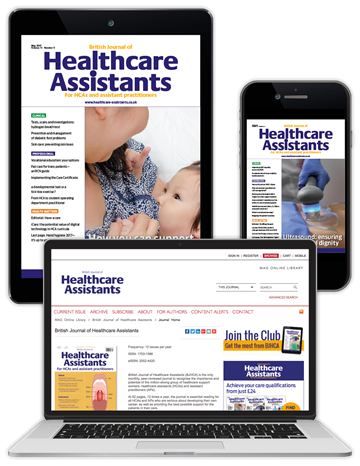 The journal is a vital resource for healthcare assistants and assistant practitioners who are serious about informing their practice, improving standards, and developing their career. rare ones like Tangier disease or Feingold syndrome. observations, or tests and scans. 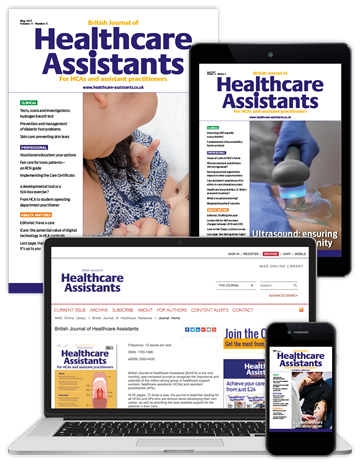 that affect healthcare assistants in the workplace. outcomes of all relevant qualification frameworks. 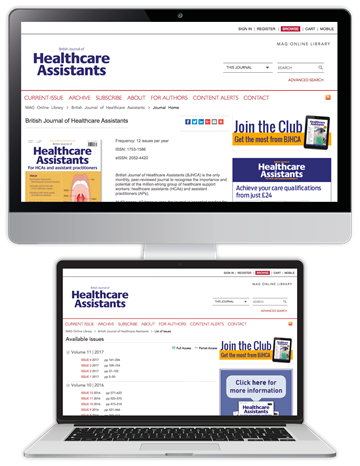 patient safety and deliver evidence-based, person-centred care. This book covers fundamental practice, work-based learning and the basis for holistic, individualised care, designed for easy reference. 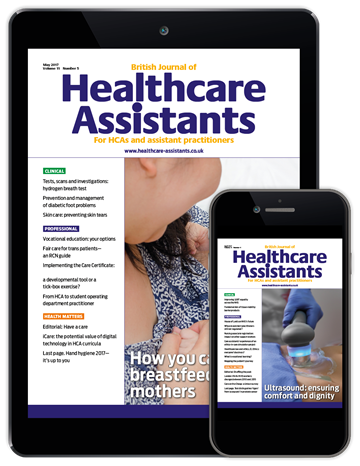 Save 10% when you subscribe today, and receive the journal, your free book and access to our online CPD platform from just £1.65 per week. To claim this offer, please select your appropriate subscription option below, and quote coupon code BJA18P when prompted at the checkout. Offer ends 30th June 2018.